Chocolate Brownies, no ….but macaroons yes! 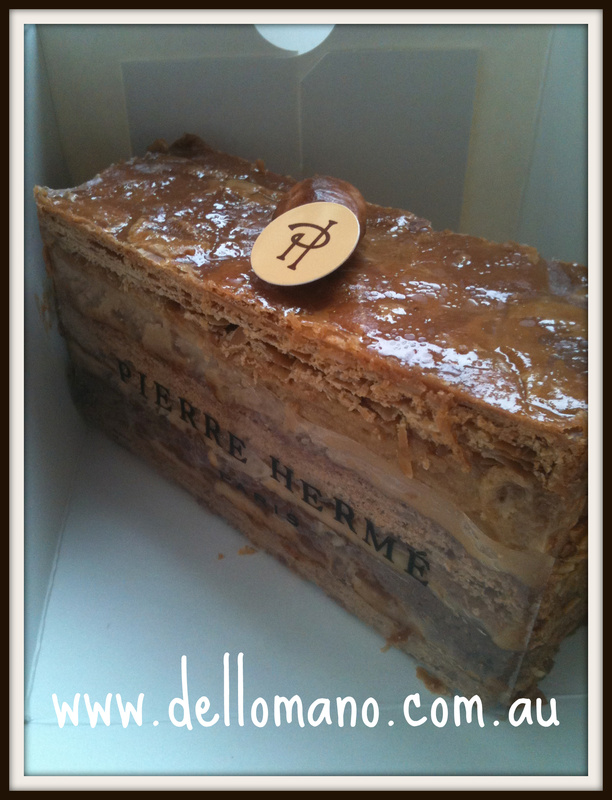 We set out on a Dello Mano quest to explore great pastry in Paris and wow did we find it at Pierre Herme. For the brownie obsessed like us, there were no brownies as we know them (I say this with tongue in cheek) however, the amazing choice of pastry and chocolate was more than a little distraction. Herme has stores in France, Japan and England. Known for executing some of the most divine desserts and chocolate treats, he is perhaps best known for his macaroons, often said to be at the foremost of their kind in the world. 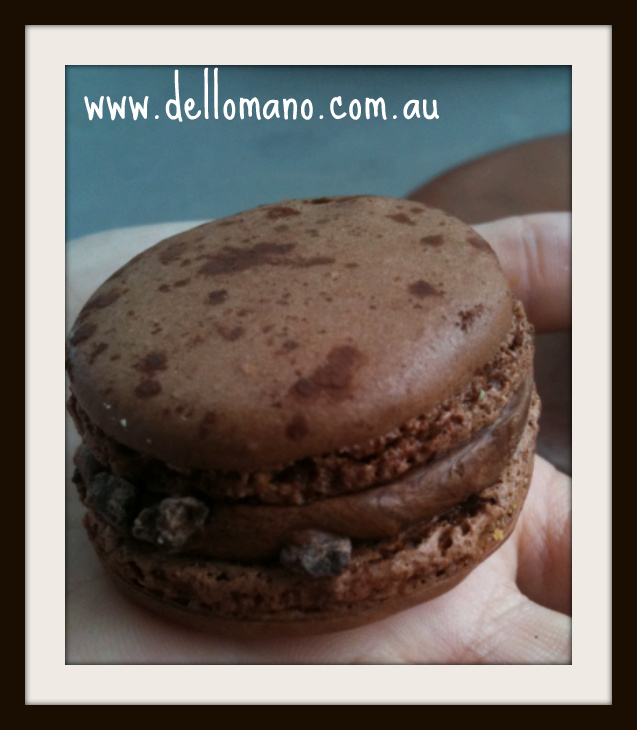 After our visit to this pastry and chocolate store, we’d have to say the macroons are incredible! Pierre Herme is no stranger to baking and chocolate making as he’s the fourth generation of a premier Alsatian bakery tradition. He began his training at 14 with Gaston Lenotre. To this day, Herme avers that his 11 years with Lenotre were his greatest from a learning and inspiration perspective. He followed this experience with another 11 years at Faulchon where he built his chocolate expertise. In 1997 he was part of the expansion of Laduree across France. He started his first boutique, Pierre Herme Paris, in Tokyo. By 2002 he opened his Paris store and ever since has strengthened his presence in Japan, France and London. Herme offers a range of innovative Macroon flavours. 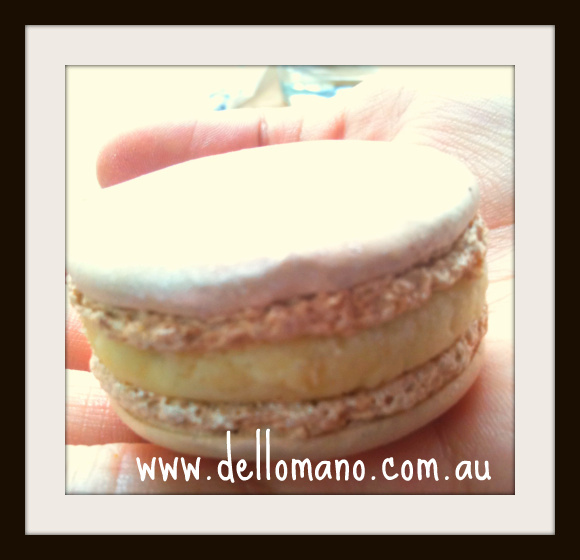 The white truffle hazelnut macaroons are said to be fantastic. On the day we visited we selected the Herme signature macaroon of olive oil and vanilla – amazing crispy outer texture, delicious creamy centre and surprisingly a very distinct yet subtle olive oil flavour. Really unique! We’re not sure if he offers a chocolate brownie macaroon ( 🙂 ) however saw and tasted many fruity varieties. As well as macroons we tried several amazing pastries and cakes. Herme could easily be considered a couture pastry maker, producing 2 stellar collections a year and so often each one even more creative than the one preceding it. Each collection has a theme and a focus- just like the fashion runway. Vogue dubbed Herme the Picasso of Pastry. We devoured the chocolate tart below – simply delicious! Absent of any in store dining and in a wonderful show of community, the lovely assistant at Herme told us of a cafe around the corner where if we were to buy a coffee we could enjoy our pastry while sitting down. We did indeed do that – the coffee price added to the overall cost however it was a food and chocolate experience to remember. Interested Parisians starred as the Dello Mano family slowly peeled open the litte white boxes and admired the beautiful chocolate treats. 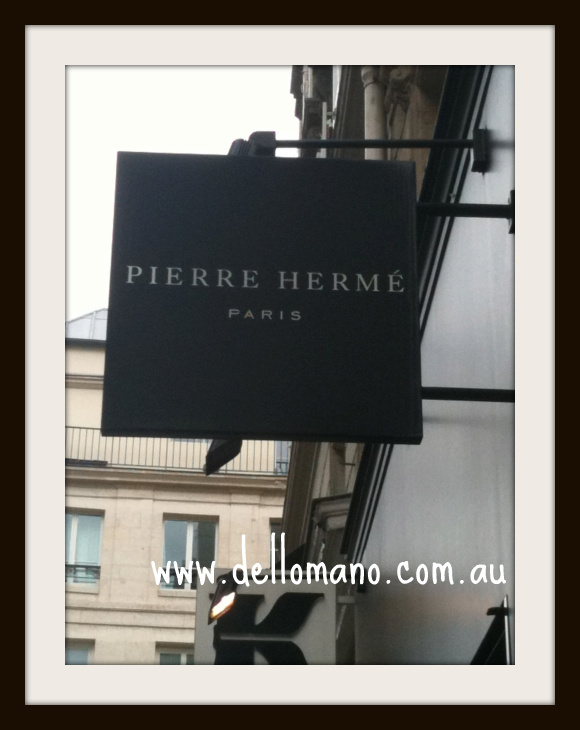 A list of Herme stores is provided on the website – http://www.pierreherme.com. We visited in the 6th Arr of Paris however there is also a store in the 15th. 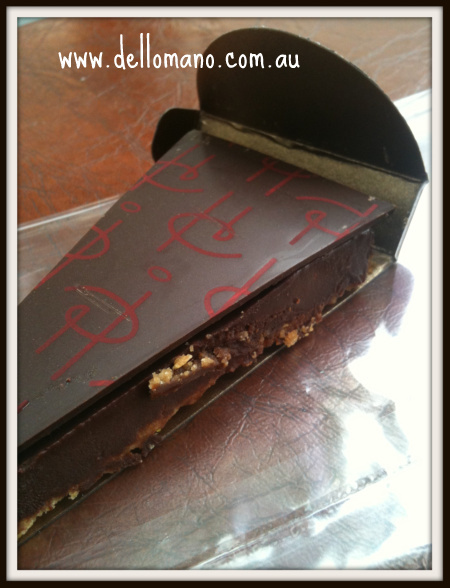 A memorable chocolate and pastry moment!